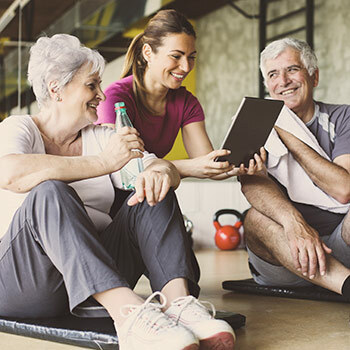 Waterloo – The Laurier Association for Lifelong Learning (LALL) and Wilfrid Laurier University’s Department of Athletics and Recreation have partnered to offer a new, non-credit course on nutrition and exercise to support healthy lifestyles in older adults. Active Aging through Nutrition and Exercise is a five-week course that includes weekly classroom lectures and exercise instruction. Lecture topics will address nutrition and aging; exercise instruction will focus on functional movements and proper technique. Laurier’s certified fitness instructors Jennifer O'Neill and Stefanie Kubacki will lead the course, which runs Tuesdays and Thursdays, 10:30-11:30 a.m., from May 1-31 at the Athletic Complex on Laurier’s Waterloo campus. A one-month membership to Laurier’s Athletic Complex is included in the $90 course registration fee. The course also provides participants with an opportunity to participate in Laurier’s vibrant campus community. Register by April 27. The course starts May 1. LALL has offered a unique option for adult learning since 1997. Courses are non-credit and are intended for personal interest and self-education. For more information, contact the Laurier Association for Lifelong Learning at 519-884-0710 ext.6036 or lall@wlu.ca.